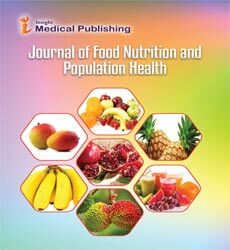 The aim of this study was to evaluate the inosine 5’-monophosphate (IMP), thiamine, amino acid and fat acid of meat from Jinghai Yellow Chicken and fastgrowing commercial chicken and their crossbreed. We choose the same batch of hatching, good condition, healthy 1 day age for Jinghai Yellow chickens (Ã¢ÂÂ, JJ), fast-growing commercial strain (Ã¢ÂÂ, BB) and their crossbreed (BJ), and each kinds of chicken is 200. Each group consisted of four repetitions, and each repetition included the male and the female chickens are 25, respectively. After three groups of chickens were fed to the age of the marketing age (112 d (JJ), 70 d (BB), 70 d (BJ)), 8 chickens were randomly selected from each repetition of each group to slaughter, and breast muscle and thigh muscle were used for analyzing meat flavor and nutrient composition were obtained. Thiamine, inosine 5’-monophosphate (IMP), amino acid (AA), and fatty acid (FA) in breast muscle and thigh muscle of Jinghai Yellow chicken and fast-growing commercial chicken and its crossbreed were compared. Results showed that JJ group and BJ group had a higher level of thiamine than BB group in breast muscle and thigh muscle (P<0.01). No differences were obtained in IMPc levels in breast muscle and thigh muscle (P>0.05).However, results suggested no consistent differences in meat flavor parameters levels of amino acid and fatty acid among different groups.